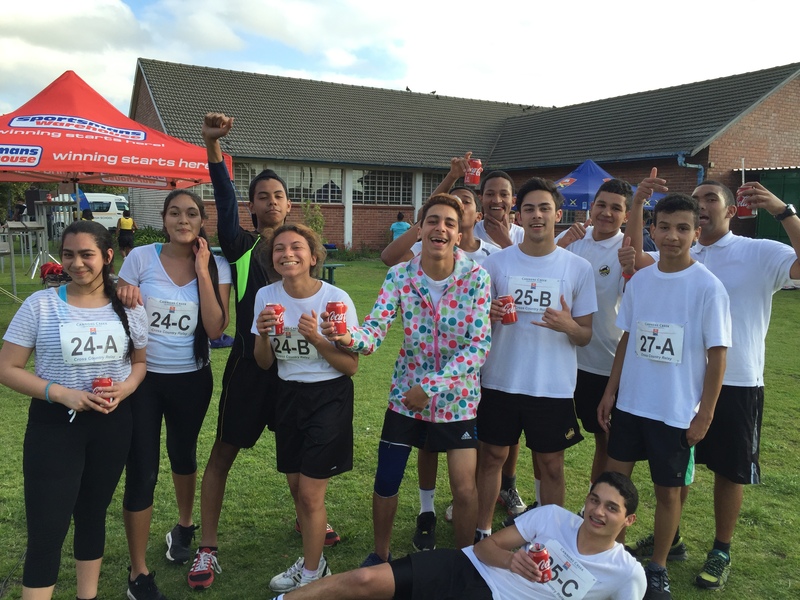 Cross country at Claremont started out as a casual run around the block, but has over the past 3 years grown into a competitive sport. We compete in league races every Wednesday and in 2016 we had 3 boys who qualified for zonal trials. Cross country is a fun time to exercise, set new goals for yourself and make friends, who become family! The netball summer squad is designed to provide all students (Grade 8-12) with the opportunity to learn how to play netball and develop and enhance their current skills and fitness levels. CHS is currently part of the Third Central League and we play a number of friendly matches during the season against schools in the area. All of our players are encouraged to join the league if they have played netball before. 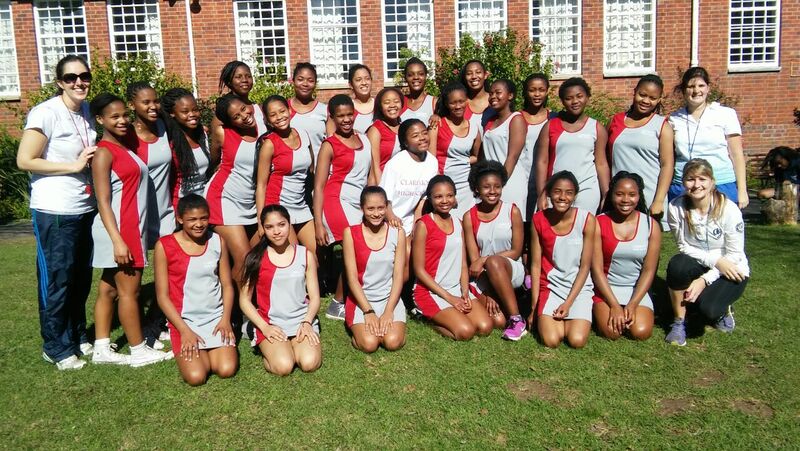 We see netball as a platform to engage with students outside of the classroom, to develop our girls' leadership abilities and encourage them to pursue healthy competitive relationships with students from other schools. 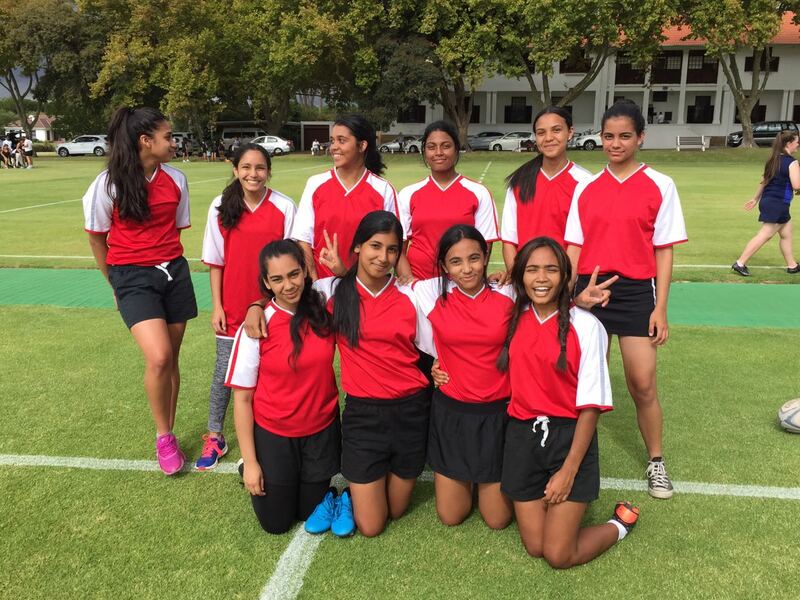 Claremont High cricket is in a particularly exciting phase of its development. With four or five regular club cricketers playing alongside a host of young, passionate beginners, we have the perfect blend of youth and experience in our squad to carry us forward. This fact, combined with the confirmation that we can use the Douglas Murray field as our practice venue twice a week, puts us in a strong, secure position to continue to develop our cricketing culture. We play regular fixtures against top cricketing schools and are seeing rapid improvement as we continue to test ourselves against the best schools in the area. Basketball has proved a popular sport since it was introduced in 2015. We typically have one fairly competitive team and a number of other learners in the group who are still developing their skills. Practices take place on the small-size court in the school parking lot. We hope to grow the sport in the future, hoping to be able to cater for a girls' team as well as a boys' team. Our learn-to-swim program is a fun time for learners to gain the life skill of swimming. With lessons once a week, our new swimmers are learning how to breathe properly, the basics of the freestyle stroke and perfecting their floating! We have recently started a swimming team that trains in our school’s swimming pool once a week. Although small, we participate in local league gala’s. 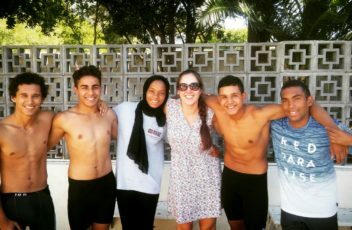 We are very proud of several of our learners who have participated in age group gala’s around the country, and those who have represented the Western Cape in swimming. We have been part of the Southern Suburbs soccer league for 5 years.In 2013 we entered the league with an U19 team and achieved an almost unbeaten season. The following year we expanded to two teams ( U15 and U19) and have had varied success. In 2016 we launched girls' soccer for the first time and have had an excellent response from the learners . We hope to enter a girls' league in 2017. CHS’s chess group currently consists of 55 chess players. Chess practice takes place on Mondays, with the group being split into two – beginners & more advanced players. Our beginner group is being taught the basics of chess, by an external coach who visits every Monday, while the advanced group plays games against one another to try and reach the top of the CHS chess ladder! CHS partakes in the WP chess league. We also have a Western Province chess player who competes on provincial and national level. Our school also participates in friendlies, with neighbouring schools. Here at Claremont High, we practise the art of Jujitsu and various other martial arts. We cover Jujitsu, the martial art, as a whole: basic self-defence that can be used in everyday real life-threatening scenarios as well as various techniques. Our aim in this extramural is not only to improve one's physical abilities, but also to understand the body as a weapon and the responsibility that comes with this knowledge. Flairs is a skipping activity which is run by an outside organisation. High energy, fitness, strength and a strong sense of rhythm help make a good skipper. As a school, we have place for 25 learners to enter the program, who are trained and then assessed for Flairs Skipping awards. Touch rugby focuses on developing running ability, agility, fast strategic thinking & ball handling skills such as catching and passing. It's a fast pace game which keeps coaches, players & supporters on their toes at all times. 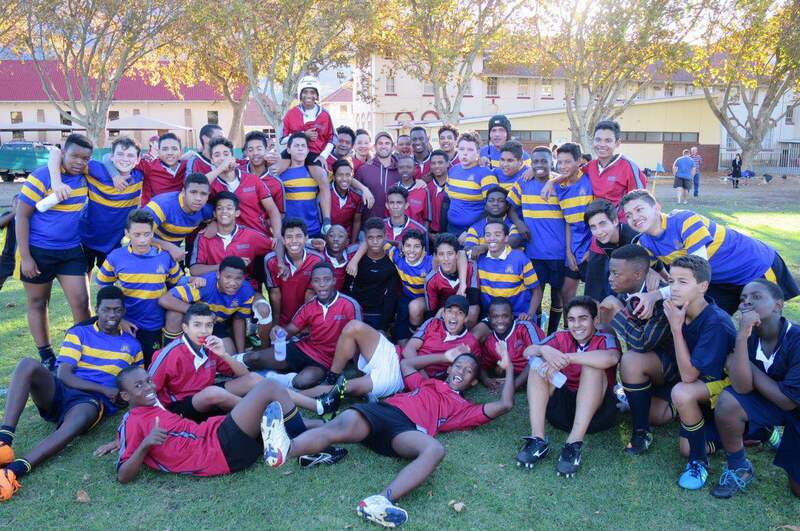 Rugby at Claremont High focuses on participation, rather than developing highly competitive teams. We typically practise twice a week, and our rugby groups boast a mix of talented and experienced players who may also be playing club rugby, as well as boys exploring the game for the first time.